News flash: The iPhone 5 is not the end-all and be-all of the smartphone universe, a fact that should thrill Nokia and Samsung alike. Here's what it is: a strong improvement to the iPhone 4S that offers up a larger screen, 4G LTE speeds, and a terrific camera. The iPhone 5 carries on the goodness that Apple excels at, like iTunes entertainment and cloud storage. But however good the iPhone 5 is, it lacks the knockout, gasp-inducing feature that Apple followers have come to expect: perhaps double the battery life of any other phone on the market, or an innovative camera feature that lets you drag and drop subjects around the screen, or other far-out concepts come to life. Instead, we see a lot of catching up: LTE support, panorama mode, and photo capture while a video records, maps with turn-by-turn navigation, and a slightly larger screen with the same pixel density as on the iPhone 4 two generations ago. And it still lacks certain other perks, like NFC, which is useful for mobile payments, and for sharing content from phone to phone. For the first time in a long time, Apple has given its rivals room to bask in their own innovations. 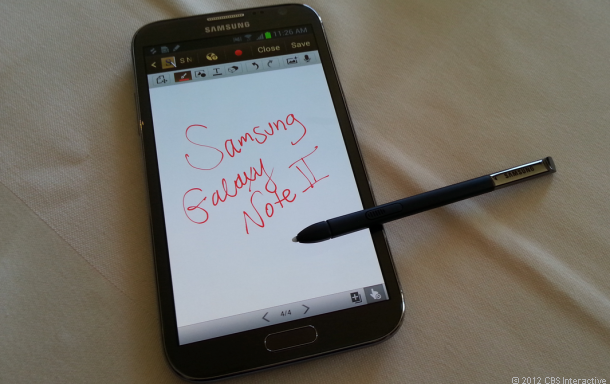 Samsung's Galaxy Note 2 is the anti-iPhone. 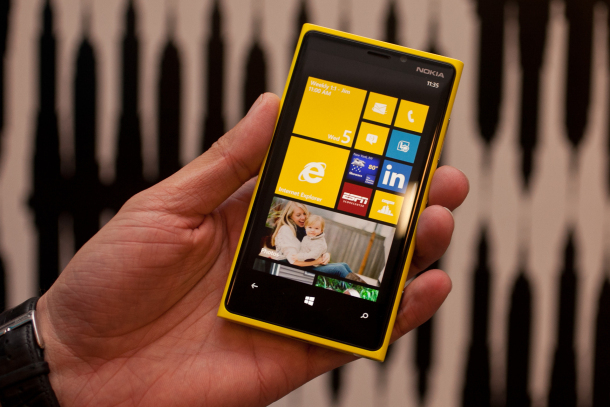 The Nokia's Lumia 920 offers wireless charging, for example, a capability it'll pilot in coffee shops and airline lounges. Its camera is literally surrounded by springs, and the screen uses a very smart display filter that could match or even surpass the iPhone 5's display (we have to wait to see them side by side. Meanwhile, Samsung's Galaxy Note 2 offers up an enormous 5.5-inch screen and a truckload of tricks with its S Pen stylus, and a new camera feature that will compile the best of a handful of group photos, increasing the chances that everyone's smiling. Its phone/tablet hybrid is the antithesis of the smaller iPhone screen. On the battery front, Motorola's new Motorola Droid Razr Maxx HD can't be beat; it features a powerful 3,300mAh battery that promises 21 hours of talk time to Apple's 8 hours of talk time over 3G on the iPhone 5. Make no mistake that the iPhone 5 will sell like wildfire and bring delight to Apple fans everywhere -- in fact, I even think it makes for a great universal choice. Yet its lack of a "gotcha" feature gives shoppers considering other powerful alternatives -- like the intriguing Lumia 920, the larger-than-life Samsung Galaxy Note 2, or even the won't-quit Motorola Droid Razr Maxx HD -- fewer reasons to stick with Apple. CheapStreet phone card is the best way for all peoples to make international calls from United States. For phone calls from India to another countries better of all to use Partner telephone card. Cheap prices on Norway long distance calls you can find in Continental description.